You will display a quiet, eye-catching elegance wearing your Marc Jacobs® 40 mm Slingback Pump w/ Bow. Smooth calfskin leather slingback heels. Slip-on style with slingback elastic ankle strap. Pointed-toe silhouette decorated with beautiful bow. 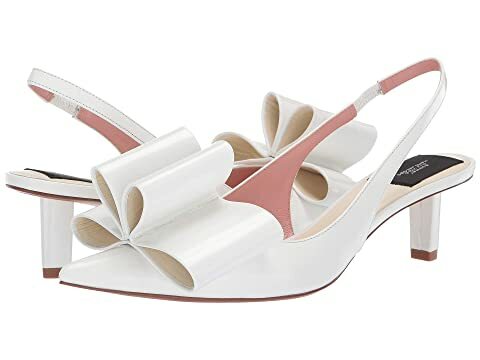 We can't currently find any similar items for the 40 mm Slingback Pump w/ Bow by Marc Jacobs. Sorry!